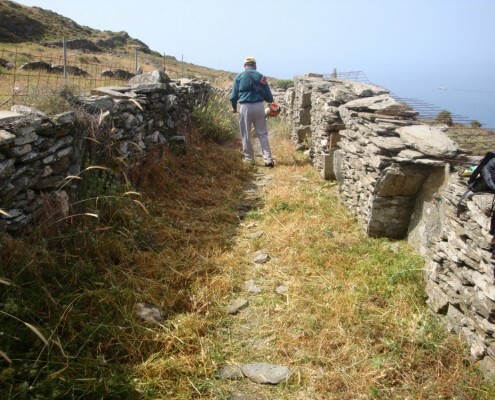 On Wednesday 27th and Thursday the 28th of May 2015 we ‘ve finished clearing the hiking route No 7, with the help of our volunteer Myrto Apostolopoulou and labours paid from sales income of our book “Hiking on Andros”. Route No 7 starts from the chapel of the Holy Trinity- Agia Triada (in Stavropeda) and stops at the entrance of the archaeological site of Zagora. 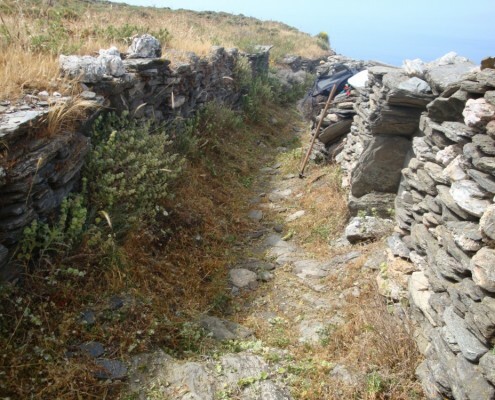 This local route proved to be a difficult one, due to high density of vegetation, that impeded the passage through it. 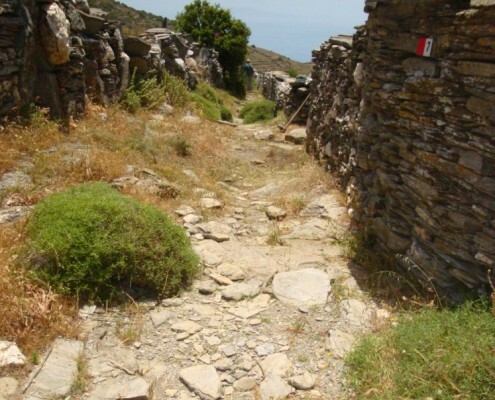 On the same day labour hands (sponsored by Polembros) cleared the route from Mesaria-Stechiomeni up to the junction between Panachrantos path and Livadia river. The same group cleared route 1C from Stechiomeni up to junction with route No 18 (Aladinou-Falika). We would like to thank both Polembros (for sponsorship of labours) and volunteer Myrto Apostolopoulou for their valuable assistance. Needless to say we’d like to address special thanks to those who have already bought or support our book. 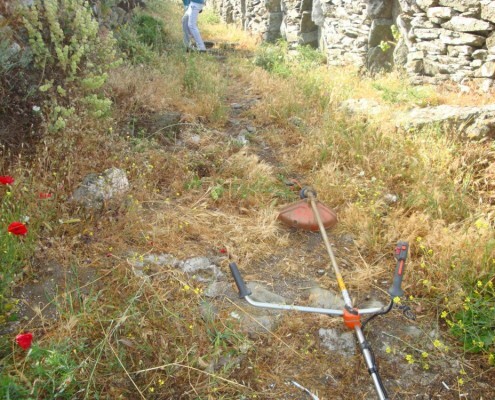 They clearly support us in the joyful but yet not easy task of cleaning the paths of Andros.